A PASHA (Pan-American Society of Hospitalists) promove o I Congresso da Sociedade Pan-Americana de Hospitalistas. O Congresso terá como palestrantes brasileiros os drs. Lucas S. Zambon e Guilherme Brauner Barcellos da Sociedade Brasileira de Medicina Hospitalar – SOBRAMH e dr. Walter Mendes (ENSP e FioCruz). - O projeto ACERTO (ACEleração da Recuperação TOtal Pós-operatória): é um programa que visa acelerar a recuperação pós-operatória de pacientes. 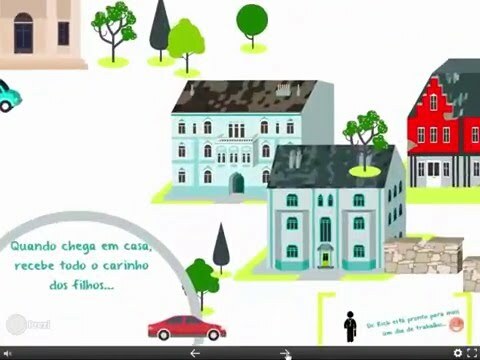 Baseado em programa europeu já existente (ERAS - Enhanced Recovery After Surgery) e fundamentado no paradigma da medicina baseada em evidências, o projeto ACERTO é antes de tudo um programa educativo. - Curso Teórico-Prático de Segurança do Paciente. Artigo: Patient-controlled analgesia-related medication errors in the postoperative period: causes and prevention. Schein JR, Hicks RW, Nelson WW, Sikirica V, Doyle DJ. Patient-controlled analgesia (PCA) is a common and effective means of managing postoperative pain. Unfortunately, the complex processes and equipment associated with the setup, programming and administration of intravenous or epidural PCA have allowed it to become a significant source of preventable medication errors. These errors can be classified into two major categories: human (operator) errors and equipment errors (malfunctions). Such errors are potentially harmful to patients, time-consuming for hospital staff and costly for healthcare providers. The objective of this article is to describe PCA medication errors and examine systems and modalities that may help reduce the incidence of system-related errors. Data from the US FDA's Manufacturer and User Facility Device Experience (MAUDE) database indicate that 6.5% of intravenous PCA-related events were due to operator error. Most (81%) of these errors were due to pump misprogramming, of which almost half were associated with patient harm; 76.4% of adverse events were attributed to device malfunction (e.g. due to frayed wires or a crack in the drug cartridge), although only 0.5% of these were associated with harm to patients. In a report based on data from MEDMARX, a voluntary database that captures reports on medication errors, 7.9% of the PCA-related errors captured over a 5-year period were described as causing harm to patients. Technological advances, such as improved PCA pump designs based on ergonomic and cognitive engineering principles, the use of barcode technology and other 'smart pump' safety features, and new postoperative pain management modalities, may play a significant role in reducing the future incidence and severity of PCA medication errors. View more documents from SMA - Serviços Médicos de Anestesia. 2. †Stanford University School of Medicine, Stanford, California. Background: High-fidelity medical simulation can be used to explore failure modes of technology and equipment and human-machine interactions. We present the use of an equipment malfunction simulation scenario, oxygen (O2)/nitrous oxide (N2O) pipeline crossover, to probe residents’ knowledge and their use of anesthetic equipment in a rapidly escalating crisis. Methods: In this descriptive study, 20 third-year anesthesia residents were paired into 10 two-member teams. The scenario involved an Ohmeda Modulus SE 7500 anesthetic machine with a Datex AS/3 monitor that provided vital signs and gas monitoring. Before the scenario started, we switched pipeline connections so that N2O entered through the O2 pipeline and vice versa. Because of the switched pipeline, the auxiliary O2 flowmeter delivered N2O instead of O2. Two expert, independent raters reviewed videotaped scenarios and recorded the alarms explicitly noted by participants and methods of ventilation. Results: Nine pairs became aware of the low fraction of inspired O2 (FIO2) alarm. Only 3 pairs recognized the high fraction of inspired N2O (FIN2O) alarm. One group failed to recognize both the low FIO2 and the high FIN2O alarms. Nine groups took 3 or more steps before instigating a definitive route of oxygenation. Seven groups used the auxiliary O2 flowmeter at some point during the management steps. Conclusions: The fact that so many participants used the auxiliary O2 flowmeter may expose machine factors and related human-machine interactions during an equipment crisis. Use of the auxiliary O2 flowmeter as a presumed external source of O2 contributed to delays in definitive treatment. Many participants also failed to notice the presence of high N2O. This may have been, in part, attributable to 2 facts that we uncovered during our video review: (a) the transitory nature of the “high N2O” alert, and (b) the dominance of the low FIO2 alarm, which many chose to mute. We suggest that the use of high-fidelity simulations may be a promising avenue to further examine hypotheses related to failure modes of equipment and possible management response strategies of clinicians. Eight cases were identified; contamination and reuse of open propofol vials was the likely source. Hepatitis C is the most common bloodborne infection in the U.S. Although nosocomial transmission of hepatitis C virus (HCV) is considered rare, the number of cases associated with nonhospital medical settings is increasing. Now, researchers describe an outbreak of HCV infection at an endoscopy clinic. During a 5-week period in 2007, three patients developed acute hepatitis after undergoing endoscopy at a single clinic in Las Vegas. Among the 123 additional patients who underwent endoscopy at that clinic on the same dates as these individuals, 6 were known to be HCV infected and were considered potential source patients; the remaining 117 were advised to undergo screening for antibodies to HCV. This testing identified an additional five patients who met the case definition for clinic-acquired HCV infection. Genetic analysis of the HCV from the eight patients with clinic-acquired infections and from the six patients known to have been infected before their procedures allowed the identification of the source patient for each endoscopy date. Among HCV-susceptible individuals who underwent endoscopy after the source patients, HCV infection developed in 1 of 49 (2%) whose procedures occurred on the first date and in 7 of 38 (18%) whose procedures occurred on the second date. During the investigation, an anesthetist was observed placing a new needle on a syringe, then refilling the syringe from a propofol vial that was intended for single use but had been used for other patients. Comment: This outbreak of HCV infection was likely related to contamination of open propofol vials through refilling of syringes that had become contaminated with the source patients' blood. This practice was routine in the clinic, so it is surprising that more infections did not occur. Citation(s):Fischer GE et al. Hepatitis C virus infections from unsafe injection practices at an endoscopy clinic in Las Vegas, Nevada, 2007–2008. Clin Infect Dis 2010 Aug 1; 51:267. 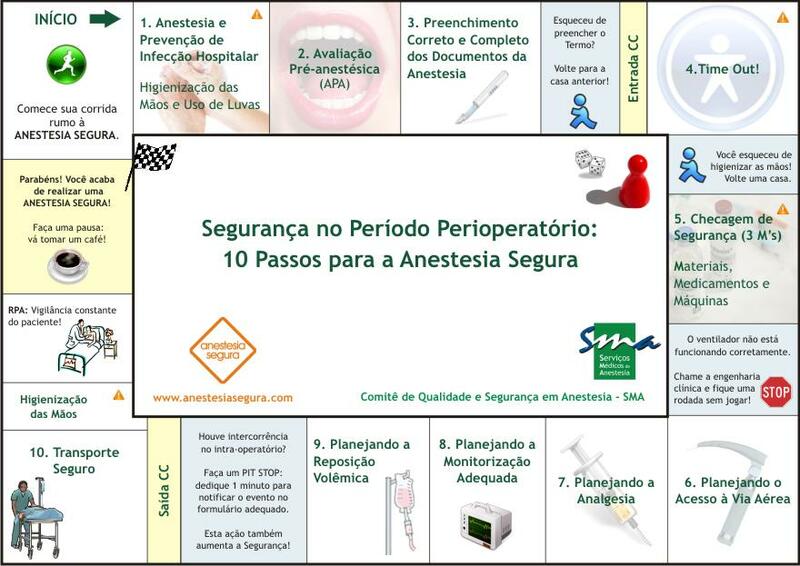 Artigo recomendado: Equipament problems during anaesthesia - Are they a quality problem? 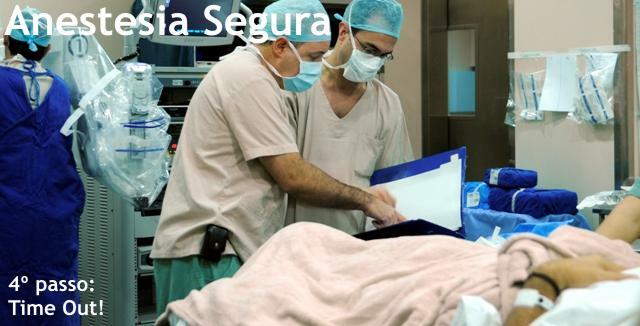 Equipament problems during anaesthesia - Are they a quality problem? The FDA checkout list is considered a template which local users are "encouraged to modify to accommodate differences in equipment and variations in local clinical practice." Estimating the frequency with which it or other checklists are used (in modified or unmodified forms) in anesthesia practice would be speculative,5 but a survey of 4 states suggests that usage is minimal.3 There are 41.5 million inpatient procedures each year requiring anesthesia in the US. Probably about half of these involve general anesthesia. Therefore, although the frequency of equipment failure is low, any improvement in safety from anesthesia preoperative checklists could have substantial impact. Using a structured MEDLINE search, we identified 15 articles that discussed anesthesia checklists. Of these, only 2 studies came close to meeting our inclusion criteria (Chapter 3).3,10 Because no other studies could be found, we abstracted these studies and review them here (Table 23.1). The first investigation evaluated the ability of participating providers to detect standardized equipment faults using their own checking methods compared with the FDA checkout list.3 Although the study involved a prospective design, it does not fit neatly into our classification system because the participants (anesthesiology residents and practitioners) served as their own controls. The second study10 involved the revised FDA checkout list, and its design was modeled on the previous study. March et al3 found that the FDA checklist was more likely to detect faults with the nitrous oxide system (65% vs. 43%, p<0.001), but that the FDA checklist was no better than individual practitioners' checklists in detecting the 7 other pre-set faults. No method detected 100% of faults, but those physicians with more clinical practice and those with better knowledge of the FDA checklist were more effective at detecting equipment faults. In the study of the revised FDA checklist,9 approximately half of the participants failed to detect at least half of the faults using both their own methods and the FDA checkout list (no statistically significant difference). Both of these studies contain important methodologic flaws. The participants knew they were involved in a study assessing their ability to detect machine faults, and so undoubtedly approached this task with increased sensitivity. Moreover, the participants' own methods may have been quite similar to the use of the FDA checklist. Both of these problems bias these studies against finding a difference between checklist and controls. Importantly though, all methods performed poorly in both studies. Thus, even if the FDA checkout list is in fact superior to anesthesia providers' own methods, the observed utility of this practice still is likely to be quite low. We were unable to find literature that implicated checklists as causes of adverse events. There exists a theoretical possibility of delays due to complex checklists, but these have not been borne out in any published studies. There has also been concern raised about compulsory checklist procedures as an unnecessary duplication of work already performed by operating room technical personnel. The FDA checklist, or local variants thereof, is widely implemented and inexpensive. Although several authors have mentioned that checkout processes are not used in 100% of cases, this does not seem to reflect problems with checklists themselves.4,12,13 The work of March and Crowley3 suggests that checklists training may be critically important. However, the most important barrier to implementation is the heterogeneity of anesthesia delivery devices themselves, which makes creation of a single, effective, broadly generalizable checklist difficult if not impossible. Given its face validity and the theoretical connection between anesthesia checklists and those used so effectively in aviation, preanesthesia checklists represent plausible safety tools. However, the reliability of modern anesthesia machines has reduced the frequency of mechanical failure to such a degree that adverse outcomes due to anesthesia machine failure are exceedingly rare. The checklists examined in the cited studies only examine the integrity of the anesthesia machine and ventilatory monitors, not cardiovascular monitors, airway equipment, intravenous apparatus, infusion pumps, or medications. Standardized checklists for these other critical components of anesthesia care do not exist in the literature. This may explain the paucity of literature exploring the use of checklists and their real effects on patient outcomes. Furthermore, the inability of anesthesiologists to detect preset faults in the cited studies may simply reflect the infrequency with which such faults are encountered in modern anesthesia practice. The face validity of checklists and the difficulty of "probing" their value in clinical studies make additional "proof of concept" studies unlikely. Although future investigations could not ethically study the anesthesia machine checklist per se, they could seek to determine more effective methods for its implementation, or could develop additional checklists with a broader scope. The little evidence we have been able to uncover suggests that, like the use of voluntary guidelines elsewhere in medicine (Chapter 51), checklists are not used uniformly. This may result from a sense that these checks are low-yield, redundant, onerous, or all of the above. The need for effective checkout procedures is likely to grow as the complexity of anesthesia equipment increases. This will increase the need to make checklists more sensitive and specific in detecting faults, while improving usability. These worthy goals may then serve as templates for other technologically dependent medical specialties, such as cardiac electrophysiology, and interventional radiology. 1. Reason JT. Human Error New York: Cambridge Univ Press; 1990. 2. Cooper JB, Newbower RS, Kitz RJ. An analysis of major errors and equipment failures in anesthesia management: considerations for prevention and detection. Anesthesiology 1984;60:34-42. 3. March MG, Crowley JJ. An evaluation of anesthesiologists' present checkout methods and the validity of the FDA checklist. Anesthesiology 1991;75:724-729. 4. Charlton JE. Checklists and patient safety. Anaesthesia 1990;45:425-426. 5. Walker JS, Wilson M. Clinical risk management in anaesthesia. Qual Health Care 1995;4:115-121. 6. Anesthesia Apparatus Checkout Recommendations, 1993. Fed Regist 1994;59:35373-74. 7. U.S. Food and Drug Adminstration. Anesthesia apparatus checkout recommendations. Available at: http://www.fda.gov/cdrh/humfac/anesckot.pdf. Accessed June 10, 2001. 8. Cooper JB, Newbower RS, Long CD, McPeek B. Preventable anesthesia mishaps: a study of human factors. Anesthesiology 1978;49:399-406. 9. Spooner RB, Kirby RR. Equipment-related anesthetic incidents. Int Anesthesiol Clin 1984;22:133-147. 10. Manley R, Cuddeford JD. An assessment of the effectiveness of the revised FDA checklist. AANA J 1996;64:277-282. 11. Degani A, Wiener EL. Cockpit checklists - concepts, design, and use. Human Factors 1993;35:345-359. 12. Cooper JB, Cullen DJ, Eichhorn JH, Philip JH, Holzman RS. Administrative guidelines for response to an adverse anesthesia event. The Risk Management Committee of the Harvard Medical School's Department of Anaesthesia. J Clin Anesth 1993;5:79-84. 13. Currie M. A prospective survey of anaesthetic critical events in a teaching hospital. Anaesth Intensive Care 1989;17:403-411. 5º Passo: Checagem de Segurança Anestésica 3M: Medicamentos, Materiais e "Máquinas"
Iniciamos o quinto passo do programa “Segurança no Período Perioperatório: 10 Passos para a Anestesia Segura” com uma discussão acerca de uma preocupação mundial: a segurança relacionada a medicamentos. Estudo realizado nos Estados Unidos demonstrou que a cada ano ocorrem no país 10 mil lesões causadas por erros relacionados à administração inadvertida de medicamentos com nomes semelhantes, que chamamos de “Sound Alike” (CHADWICK, 2004). Foi verificado que aproximadamente 29% dos erros relacionados a medicamentos são resultado da incapacidade de identificar com precisão a droga que será administrada (LEAPE, 2005). Os fabricantes e as autoridades reguladoras não realizam avaliações rigorosas dos riscos potenciais dos medicamentos quanto a sua aparência e sonoridade e reavaliação sistemática dos novos medicamentos lançados. Examples of confused drug names in Canada include Celebrex (celecoxib) and Cerebyx (fosphenytoin); and Losec (omeprazole) and Lasix (furosemide). Armazenar medicamentos de alto risco ou alta vigilância em locais separados ou em ordem não-alfabética, em prateleiras ou em aparelhos automáticos de distribuição. Assegurar que todas as etapas do processo de gestão de medicamentos são realizadas por pessoas qualificadas e treinadas. Outra proposta da ISMP para diminuir os riscos relacionados a medicamentos é a inclusão da educação sobre medicamentos LASA e seus riscos nos currículos de ensino, orientação e desenvolvimento profissional contínuos dos profissionais de saúde. ADM Opening Remarks - Look-Alike Sound-Alike (LA/SA) Health Product Names - Consultative Workshop, October 20, 2003. Available at http://www.hc-sc.gc.ca/hpfbdgpsa/tpd-dpt/index_activities_consultation_e.html. CHADWICK M. “Look-alike Sound-alike (LA/SA) Health Product Names: Developing a Common Understanding” – Consultative Workshop, Chateau Cartier Resort Gatineau, QC, Canada, October 20-21, 2003. Available at http://www.hcsc.gc.ca/hpfb-dgpsa/bgtd-dpbtg/m_chadwick_oct20_e.html. CURRIE M, MACKAY P, MORGAN C, RUNCIMAN WB, RUSSELL WJ, SELLEN A, WEBB RK, WILLIAMSON JA. The Australian Incident Monitoring Study. The "wrong drug" problem in anaesthesia: an analysis of 2000 incident reports. Anaesth Intensive Care. 1993 Oct;21(5):596-601. JENSEN LS, MERRY AF, WEBSTER CS, WELLER J, LARSSON L. Evidence-based strategies for preventing drug administration errors during anaesthesia. Anaesthesia. 2004 May; 59(5):493-504. LEAPE L, BATES DW, COLLEN DJ et al., "Systems analysis of adverse drug events," JAMA, 1995; 274:35-43. YAMAMOTO M, ISHIKAWA S, MAKITA K. Medication errors in anesthesia: an 8-year retrospective analysis at an urban university hospital. J Anesth. 2008;22(3):248-52.